Located in the east of England, Bourne is a market town in the South Kesteven district of Lincolnshire. With a population of just under 15,000, it has a good range of reasonably priced housing in the local area. At My Home Move Conveyancing we have been developing our knowledge of local markets since 2001, allowing us to bring our clients in the Bourne area a specialist, fixed fee conveyancing service that’s like no other. You’ll require the services of property lawyers if you’re looking to buy or sell property in Bourne, in order to complete the legal work on your behalf. 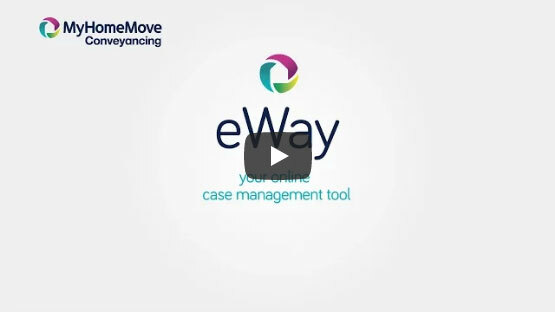 Select My Home Move Conveyancing to be your Bourne conveyancers and take advantage of our award winning customer service, innovative use of technology and knowledge of the local market. We offer a fixed fee conveyancing service with no hidden extra costs, so you know exactly what you’re going to pay from the outset. If you don’t end up moving for some reason, you won’t have to pay us a thing in legal fees. Choose us for a market-leading, professional and passionate service. We assign a dedicated conveyancer to each of our clients, providing you with access to their expertise and a consistent point of contact, who will regularly update you on the progress of your case. At My Home Move Conveyancing we can supply our conveyancing services in Bourne to customers in the centre of Bourne and on the outskirts of town just a stone’s throw from the beautiful surrounding countryside. The average house price in South Kesteven is £193,295, while in Bourne itself the overall average sale price over the past 12 months was £196,603. Detached properties were involved in the majority of sales, and went for an average of £241,457. Semis fetched £167,436, while terraces sold for £149,583. Bourne was built around the area’s natural springs, and takes its name from the Anglo-Saxon word for water or steam. It has plenty of history in agriculture and manufacturing, while it’s also known for warehousing, distribution and retail. As well as plenty of modern amenities, there’s lots of beautiful landscapes surrounding the town, perfect if you love to go for leisurely walks in the country. There are some excellent schools in the local area which is ideal for families with children. Bourne Abbey CofE, Thuriby Community Primary and Edenham CofE on School Lane in Edenham are among the options for younger children. Choices at secondary level include Bourne Academy, Bourne Grammar School, The Willoughby School and Witham Hall School. As Bourne is a rural town, it doesn’t have the strongest links when it comes to transport. There’s a bus station at the top of North Street, while a network of A and B roads connects the town to other parts of the region. It takes just over an hour to drive to both Leicester and Nottingham, the closest major cities, while it’s another half an hour to London Stansted Airport. All properties in Bourne will fall within one of the following council tax bands.